You are not logged in. [Log In] Pond Boss » Forums » INTRO » Questions & Observations » Advice needed about overflow system in my Pond!! #210640 - 03/29/10 10:38 PM Advice needed about overflow system in my Pond!! Hi, A few weeks ago I bought this 26 acre property in the foothills of the Blue Ridge mountains. With the property came a 7 acre pond that I own 100% of. 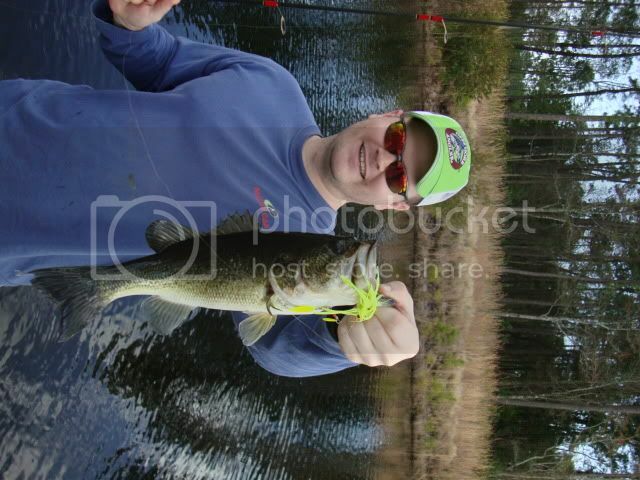 The pond has a healthy amount of large mouth bass, bluegill and catfish. Years ago the pond use to be over 20 acres, but a few years back the overflow pipe rusted thru and part of it fell into the water, thus lowering the water level. It once had a concrete cover and I've been told the weight of that cover helped the pipe break off. I guess the concrete cover is now laying in the bottom of the pond. The overflow pipe has been cut level and a debris cover placed over the overflow pipe. I want to raise the pond 7 feet higher then what it currently is. I've had some say I could just put an extension onto the overflow pipe, but others say that ponds the age of this one used tar covered galvanized pipe and it's likely the tar is breaking free from the overflow pipe and when that happens the galvanized pipe will rust through and only last 5 years or so. They fear if I put a 7 foot extension to the overflow pipe, that the weight/pressure of the extra 7 feet of water could cause the overflow pipe to break off close to the bottom of the pond and cause the pond to drain with a major fish kill. The latest recommendation was to install an entire new drain system called a Siphon System. This sounds good, but I know it's likely to cost a lot more money. This property is something I want to pass down to my own kids, so I want to do what's best for the pond, even if I have to save up for a couple of years if the Siphon System is what I need to do. Please help with any advice that you all can share. I am so thankful that we were able to purchase this property. It's a dream come true for me and my family. I want to raise the water level up and make it into a premiere 14 acre fishing spot for my family and friends. Thanks for advice you all can share. WOW! Looks absolutely gorgeous... Don't know squat about the question you asked, but I am sure several people on here do. I hope you get the answers you are looking for and congrats on the new purchase. I have no idea what you should do or what it will cost but, I just wanted to say "Hey!" from another southerner here and wish you the best with it! If you're too scared to throw that bait where the fish are, why did you tie it on? Siphon System , cheaper and best way with your depth. You can do it yourself if your handy. May need 20" or 10' , you need figure that out. Just curious whey it's so muddy with all the vegetation around it. With the amount of vegetation around it I would think even a heavy rain wouldn't make it turbid. Thanks for all the kind words about the property. We love it! The guy who owned it before me, and about a year ago, cleared a lot of the trees around the pond to make pasture land for a couple of horses he had and a few sheep. The pond is fed by 2 very large streams and I'm told by 1 or 2 underground springs. There is a constant heavy flow of water that always pour over the overflow drain. This is only a guess, but I'm thinking with all the water that pours into the pond from the mountain streams, and the fact that when he cleared a ton of trees it's left dirt/red clay pasture land around the pond, maybe the run off when it rains makes it look like that? This part of the reason I'm wanting to raise the water level up 7 more feet. Right now the pond is only 10 feet deep in the deep end. The positive of him creating the pasture areas is that now the entire pond is fenced in around the property line, so that helps keep random people from fishing in the pond all the time. I'm not a dirt/pipe expert by no means, but I'll 2nd the opinion that a siphon system will be cheaper than trying to fix the galvanized pipe if it's been in place for 20 or more years. A new siphon system may not be cheaper than a sleeve fix. We do this quite often here around Atlanta because many ponds built 30 years ago are failing. Each situation is different if easy to sleeve and very little water we might go the route of pc sleeve over an old pipe. In many cases the pipe is too far gone and total waste of time to repair and older system. The siphon system as you may know pulls water from the bottom- thus a huge advantage for water quality. It also handles more water per same size of traditional pipe. I strongly discourage you not to install a siphon system yourself if doing larger than 8 inch. Also you will have the expensive of pressure grouting the old system to raise the water level this is very important to be done properly to prevent future leaks. I think with your amount of water you need to install a 10 or 12 inch, do you know the watershed you’re draining? I’m heading out of town if you have questions feel free to email me greg@lakework.com. I want to make sure you do what is right to protect this beautiful place. I agree with Greg. You need to have the situation looked at by a pro. If you put in a siphon system and it is done perfectly the problem is not fixed. If that old pipe goes it could empty the lake and even damage the dam. The key is the status of the old pipe. Here is a link to a typical siphon system. I fear the road I'm having to go down. Today I had somebody come out to my property to give me a price on putting in a siphon system, but they pointed me into the direction of a Soil & Water person. The Soil & Water person then pointed me in the direction of a SC DHEC (South Carolina Department of Health and Environmental Control) Engineer to get aproval for what I am wanting to do. Why do I feel like that when I call SC DHEC it's like asking them to put handcuffs on me by them telling me what I can't do with my own pond? The pond use to be 20+ acres, but now it's in the 7 acre range. I was told it was lowered from the overflow pipe rusting through years ago and falling into the pond. I simply want to raise the water level up 7 feet, which would cause the pond be around 10 to 12 acres. A far cry from how big it use to be, but I fear 10 to 12 acres may be bigger then what SC DHEC wants the pond to be. Well, I had a good experience with SC DHEC today. They even recommended I raise the water level back up to what it was originally, which would cause my pond to grow from around 7 acres, to close to 20 acres big. 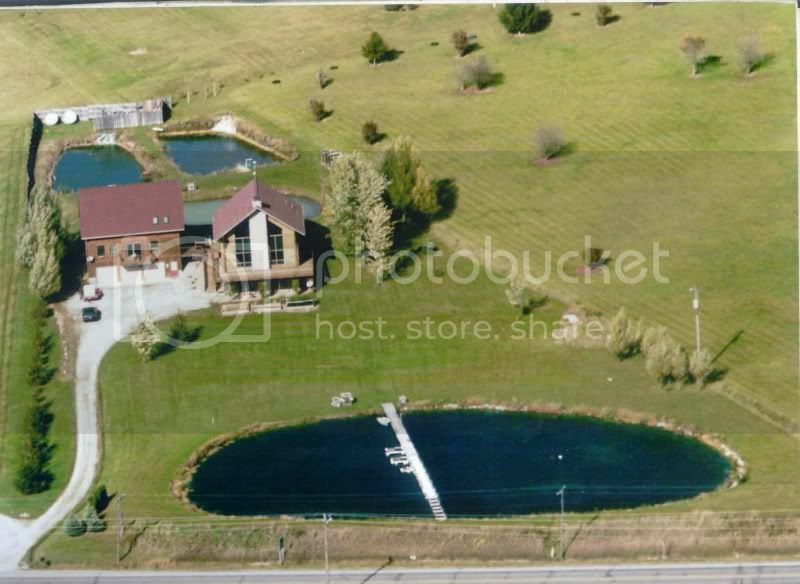 Think I can grow some huge fish in a 20 acre pond? Nope, the bigger the water, the smaller the fish. That's great news! What did they say about the corroded pipe? I just talked to the DHEC guys on the phone, but they are aware of my pond. My pond was built in 1956 and the entire drainage/pipe/overflow/valve system is all original from 1956. That's a bit scary, because I know that what was thought to be the best way back in 1956 is not what is thought to be the best now. My next step is to get an engineer to come out and inspect everything and draw up a plan of what he recommends, based on my input as well. I'm not looking at a cheap fix, but rather something that will cost probably a lot of money. Further down the valley people live in the path to where the pond would flood in the evnt of the overflow pipe rusting through at the bottom and causing a massive pond drainage. These are people and houses that I would be liable for any damage or loss of life, so I'll need to do what's be for the pond and those in the path of the pond. I'm realizing that I just have to take one step at a time through this process, but when it's all said and done it's going to be an amazing lake. It's good now, but i hope to turn it into something really special. When the work starts happening I will definitely take plenty of pictures through every step and post those pictures for you guys to see my process. I am also going to photograph the lake process as it fills up to the higher water level and I'll be sure to share those pics with the Pond Boss family as well. Depending on what all this is going to cost will depend if I take on this job this year or next, but I hope to make it happen this year. Good for you and I we here wish you the best of luck. You can count on us to be interested in it step by step. I can only speak for myself, but don't keep us out of the loop. I'd be interested in how things progress and what steps you have to go thru to get the paradise that you envision. I just hope what I envision can come to pass and I will keep everyone posted. what are your plans for the trees and bushes that have grown in what was the original lake bed? leave them for cover or clear and grade the area back to the original shoreline? Drue, Glad you got some good opinions. Keep this in mind. I hope you get a good engineer familiar with sport fish ponds. I have seen many ponds overenginerred. They cover their butts not just yours but your paying for it. One example pond enginereed 3/4 acre outlet was 84 inch. This was on 7 acres of watershed. Dam was huge to handle "200 yr flood". We fired engineer client was out $4,500 hired another guy for $800 and got it approved. He has enjoyed his $3,800 8 inch siphon system for last three yeas with no floods in largest rain you in 100 years here in GA. Saved him $18,000 on dam and outlet pipe. Get my point, do it right but not overkill = over budget.